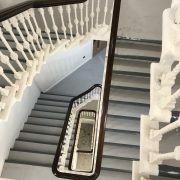 You are here: Home / General / What are the hardwood options for handrails? 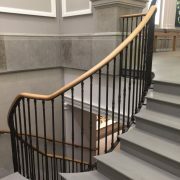 When it comes to picking a handrail for your staircase, you may feel overwhelmed by the vast array of choices on offer. 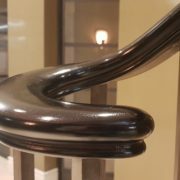 Ideally, your handrail should make a statement, as well as fitting perfectly into the design of your home or commercial building to make the interior design cohesive. There are lots of beautiful hardwoods available, in a range of colours and styles. 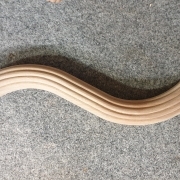 Here at Handrail Creations, we aim to help customers design and create the perfect bespoke handrail to fit your taste and needs, so we’ve made a list of some hardwood options that are available, to help you make the best choice for you. Oak is a classic choice of timber, which will make any space look stylish. 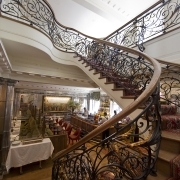 The Croatian oak we use is graded as super prime and can add a traditional twist to any stairs. 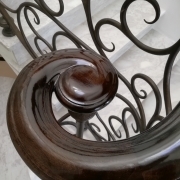 If you’re looking for a darker timber for your handrail, American black walnut is an excellent choice. The rich tones fit well with buildings of all styles – from classic period designs to modern interiors. Our walnut is super prime grade, and is full of character. 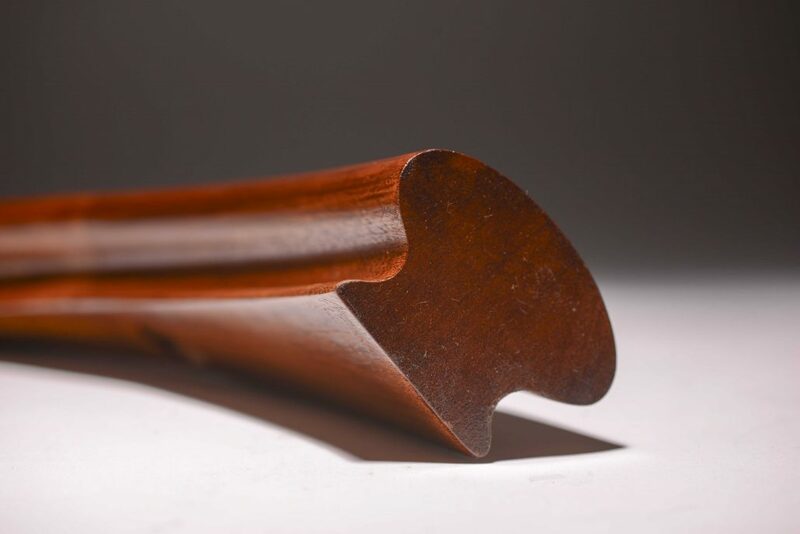 Sapele is part of the mahogany family, and can give your handrail an excellent finish. The tone of the wood is more red than the other timbers with a very straight, consistent grain. 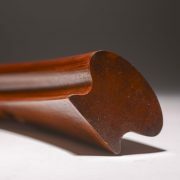 If you’re looking for something with even bolder red tones than Sapele can offer, Cherry is the timber for you. A more exotic wood, the deep tones of Cherry evoke luxury and warmth, perfect for creating a warm and cosy feel in any room. The palest of all of the options, ash can work well with a variety of accent colours to suit the style of your hall perfectly. We only ever use the finest quality timbers to ensure that you only get the best. You can view our incredible designs over at our gallery, and see each timber in all its glory on a variety of designs, modern or traditional.